Outdoor Knitting and other confessions | Alpaka Me! When I was young, I was embarrassed by everything I did publicly. Starting with reading my mangas (a 15-year old reading Sailor Moon, what would people say!) to going alone for a walk, not to mention telling I am going hiking with my parents instead of to the beach, or mentioning that I have a passion for dinosaurs which included a huge collection of plastic ones. If then someone told me that I’m going to sit in park one day knitting, I would have declared him crazy. But in Berlin I am not alone with this new trend. 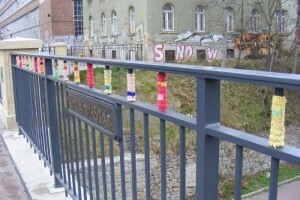 For a few years now I see people in S- and U-Bahn taking their knitting needles out. Meanwhile I bring my knitting needles everywhere as well. Only in the cinema it is sometimes hard because of the darkness but with simple patterns even that is manageable. 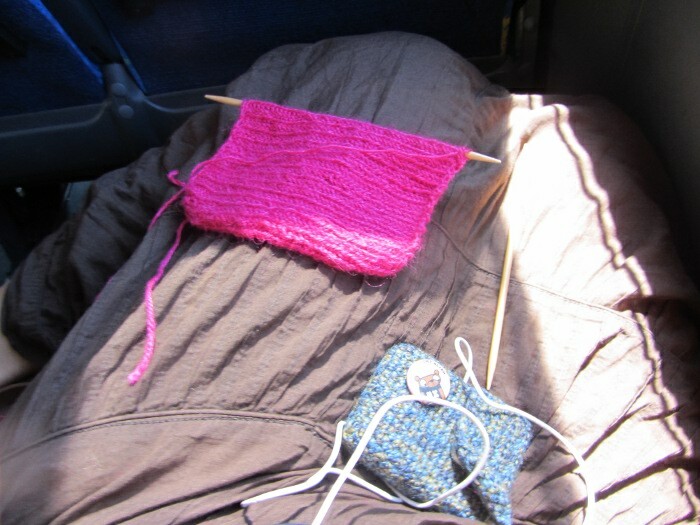 I wasn’t lazy in Mexico either taking my knitting needles out of the bag. Whether at the beach, in a bus, I told you about the airplane already, at the hostel of watching fish eating loose skin from your feet while you sit at the waters of a cenote. Actually I’m getting only positive feedback to my activities from people. 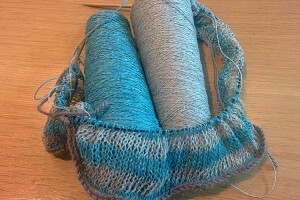 On the one side I hear that lots tried knitting once in a while and are eager to start it again. On the other side people try to find out where I got those knitting needles made from wood whereas I try to explain in broken Spanish that they’re from Germany (Alemania!) and are way better than the metal ones (mucho mejor!) because the wool is not slipping from them as much. How about you, especially the younger ones? 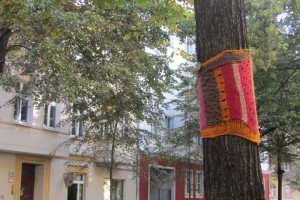 Are you knitting everywhere as well? Or are you in such a big DIY community that no one is troubled by it anyway? Mein Bekenntnis zum Geektum - Alpaka Me! - Alpaka Me! Gruppenveranstaltungen finde ich allerdings auch Klasse! 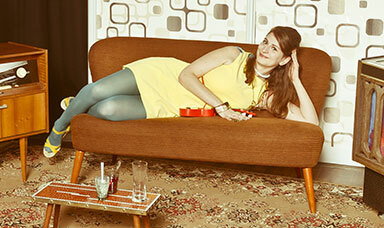 Gerade so etwas wie den ‘Knit in public day”. Aber auch wenn ich die Einzige bin, die in der Gruppe strickt, z.B. bei einem Picknick mit Freunden, stört mich das nicht weiter.